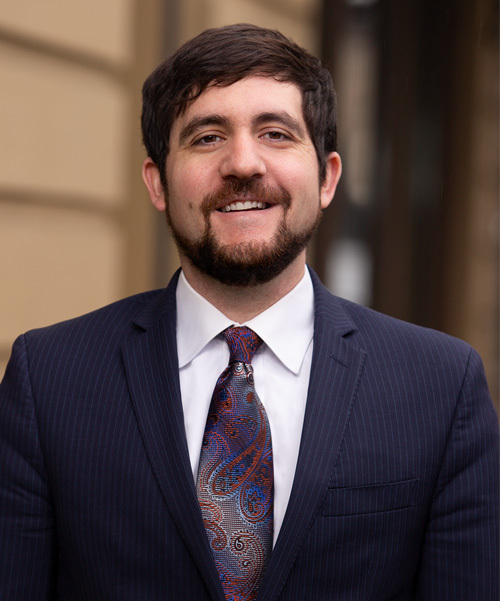 You are here: HomeWelcome to Kirkpatrick & Startzel ⁄ Lawyers ⁄ Attorneys ⁄ CHRISTOPHER C. BROWNING, JR.
After graduation, he worked at the Grant County Public Defender’s Office in Ephrata, Washington where he tried numerous misdemeanor cases. In 2016, he accepted a position at the Spokane County Public Defender’s office, representing individuals charged with misdemeanor and felony criminal offenses. He tried several felony jury trials during his tenure with the office. In December, 2018, he joined Kirkpatrick and Startzel, P.S. His practice areas with the firm include civil litigation, with a primary emphasis on representing defendant’s in civil litigation. Christopher will also be involved in appellate litigation, construction law and commercial litigation. He will also represent plaintiff’s in appropriate cases. Large enough to help. Small enough to care. January 22, 2019 Crosswalk Coat Drive – Baby it’s Cold Out There! Copyright © 2017 Kirkpatrick & Startzel. All rights reserved.